Buried treasure in Colorado is hidden in ghost towns, caves, mines, and on personal property. It exists as outlaw treasure, and from Indian raids on the early settlers. Listed below are a few of the many treasures that have been cached in Colorado. This information should be researched through other means as well. Never rely on one piece of information about a treasure story you are researching. Use multiple research tools. Use the Internet as a research tool. 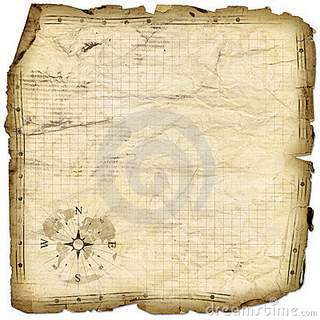 Also check with the historical societies of the areas you will be searching in. Follow any leads you get. Be persistent. Ask questions, read everything about the treasure story you are researching. Follow up with more research, and ask more questions. Sometimes, the most difficult part of searching for a treasure is in the research. However, if you do that right, you have a better chance of finding what you are searching for. 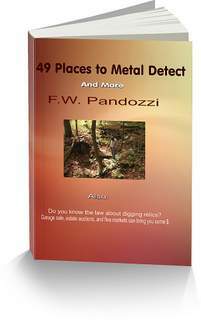 If you do not own a metal detector it’s a good idea to have one. It makes searching for buried treasure in Colorado much easier. There is no need to buy an expensive model. If it’s your first metal detector you may become overwhelmed with the learning curve of that model, and become disenchanted and quit before you begin to enjoy the hobby. Buy an inexpensive model, between $300- $450, study the owners manual, and practice using the detector. If you do this, you will locate many interesting finds. And who knows, maybe even a buried treasure. Good luck! And have fun in your search for treasure in Colorado. The Lost Platinum Mine - is supposedly somewhere north of Dinosaur National Monument in the northwest corner of Colorado. As the story goes, a prospector found the mine, and then left the area hoping to return. Unfortunately, he could never relocate the mine. Robber‘s Roost Treasure - $60,000 in gold was buried here by outlaws. Apparently they cached their treasure on the east side of Horsetooth Reservoir, just west of Fort Collins. Jamestown - may have several buried treasure near by. In the 1930’s gold coins were cached in several areas in and around Jamestown. In the 1960’s a farmer plowing his field uncovered a jug that held $10,000 in gold coins. The Jim Reynolds Gang - in the 1860’s buried gold and silver coins worth $175,000 near the junction of the South Platte River and Hardcart Creek. The Jessie James Gang - apparently buried treasure worth $50,000 in gold and silver coins at their hideout in Half Moon Gulch. The Gold Hill Ghost Towns - located between Boulder and Nederland on route 119 were named, Crisman, Gold Hill, Salina, and Sunshine, relics have been located in this area. There is no telling what other items are there. Get permission before venturing into this area. If you are searching for buried treasure in Colorado and going on to private property be sure to ask for permission. If you are venturing on to State or Federal lands you should know the laws. Want To Know How To Earn $ From Your Detector? Buried treasure in Colorado are just a few of the lost treasures.